Receiver of Wrecks and Acting Director for the Virgin Islands Shipping Registry, Captain Raman Bala explained that every effort is being made by the department to determine from the owners their intention for their vessels. He said that whilst most vessels have either been given notice in the newspapers and the Gazette or by posting stickers on them, the VISR has identified that there are some more vessels in the Territory which have not been previously identified for removal. This vessel list is now published in the Gazette and is available for viewing. 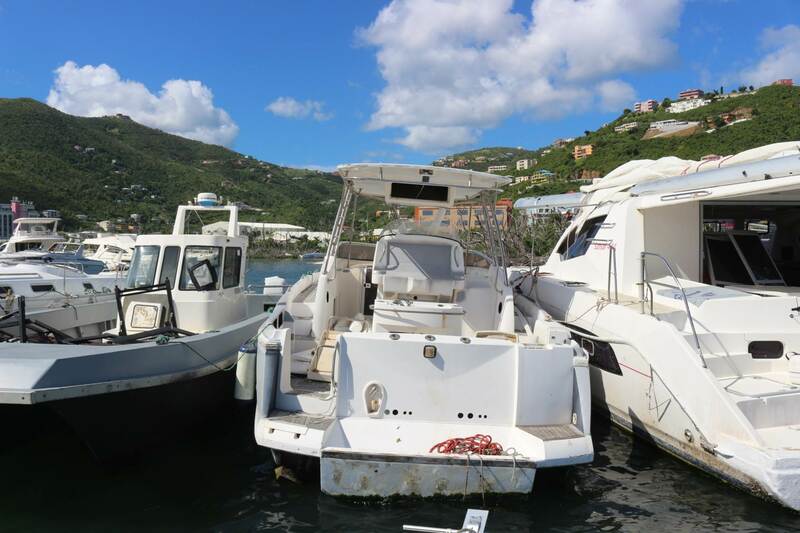 Photos of approximately 300 vessels in various locations are available including their location and other information at the link: http://www.bvi.gov.vg/derelict-vessels; while 80 vessels in various locations are available including their location and other information at the link: https://flic.kr/s/aHskKTwqA4; and a list of 36 additional vessels in the western area of the island is available for viewing via the following link: https://www.flickr.com/photos/134848302@N08/sets/72157699363928942/. The Receiver of Wrecks can be contacted at the Virgin Islands Shipping Registry located at RG Hodge Plaza, 2nd Floor, Wickham’s Cay I, Road Town, Tortola. Additionally, the Receiver can be contacted via telephone at 468 9646 or via email at vishipping@gov.vg.